The house is still not quite finished. A few details remain on the inside (including the window and door trim painting that we need to do!) 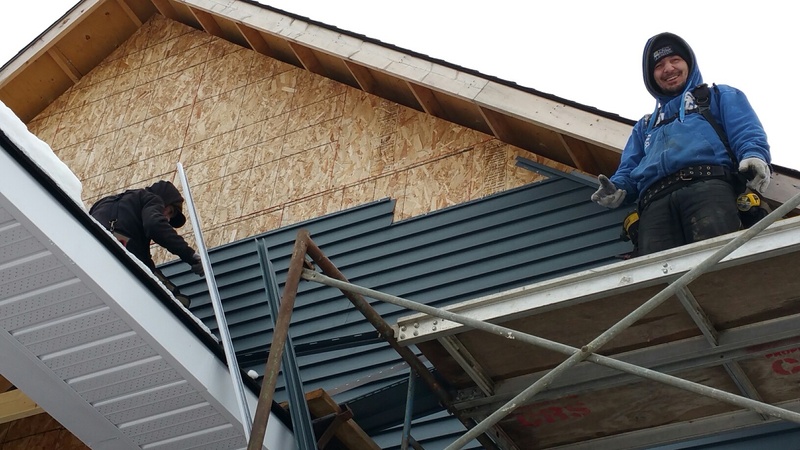 and the exterior siding needs more to be done. Work on the siding stopped in early December when they ran out of siding. That arrived earlier this month and they have been hard at it, even though the weather is no longer particularly mild. They worked through most of the colder weather but stopped when the wind was very strong and the daytime temperature dropped to more than 10 degrees Celsius below 0. They almost finished today, but ran out of material for the last bit. So there will be another delay. We have enjoyed this crew and have been happy to provide coffee and other goodies to help warm them up and encourage them along the way. 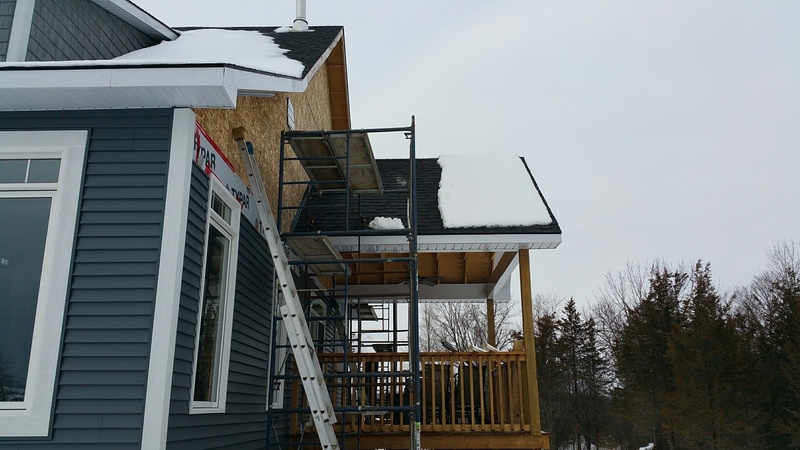 Not only did the cold and snow slow things down, but the remaining sections needing siding were high up on the gable and needed quite a bit of scaffolding to be set up. 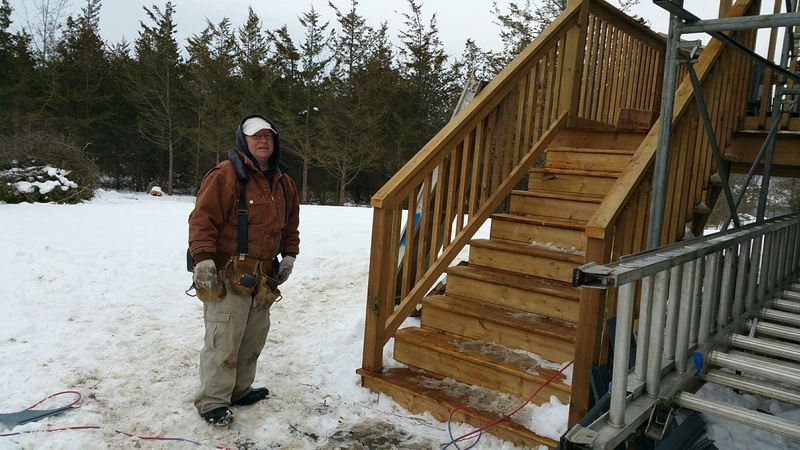 Always cheerful and smiling, despite working in the cold and with an injury to his foot, Rob is the onsite leader most of the time. The semi-retired boss came to check things out several days a week. It seems to us that the crew has been doing a very good job.